Join City Club of Denver in welcoming Mayor Michael B. Hancock as he kicks off the 2018-2019 City Club programming season. 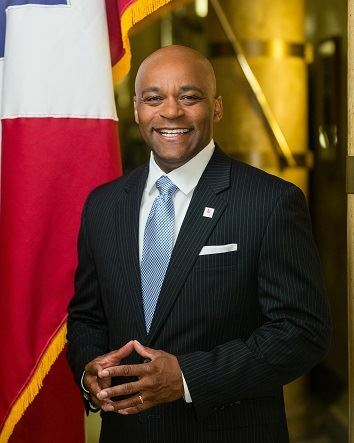 Mayor Hancock will discuss the State of the City and 2019 key initiatives. MICHAEL B. HANCOCK is Denver's 45th mayor. During his time in office, Mayor Hancock and his administration have eliminated the city’s budget deficit, fostered a diverse economy and restored much needed services that were lost during the recession. With a drive toward increasing opportunity for every resident, he has prioritized innovative solutions to investing in the city’s children and youth; increasing mobility options, affordable housing and services for the homeless; supporting economic mobility, entrepreneurs and small businesses; and making government work smarter for residents.